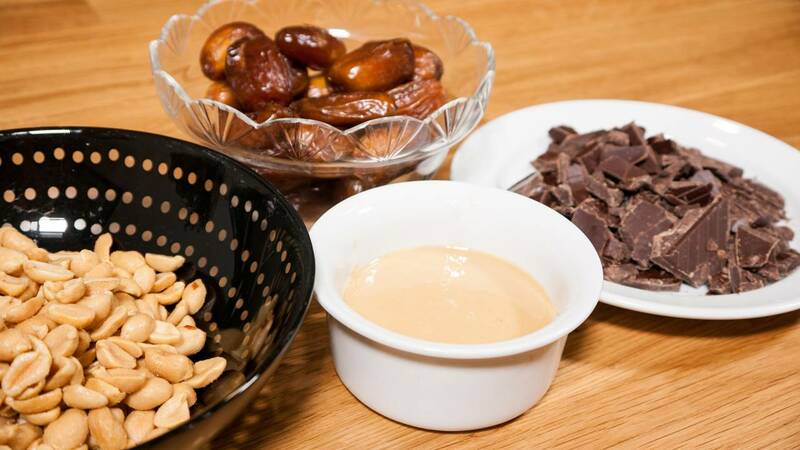 Chop the peanuts and dates to begin with. Add the peanut butter and keep chopping until it is a sticky mass that can hold the shape when pressed together. Melt the chocolate in a warm water bath. Roll to balls and coat them with the melted chocolate. Put them into the fridge for at least an hour. Or until the chocolate is hardened. 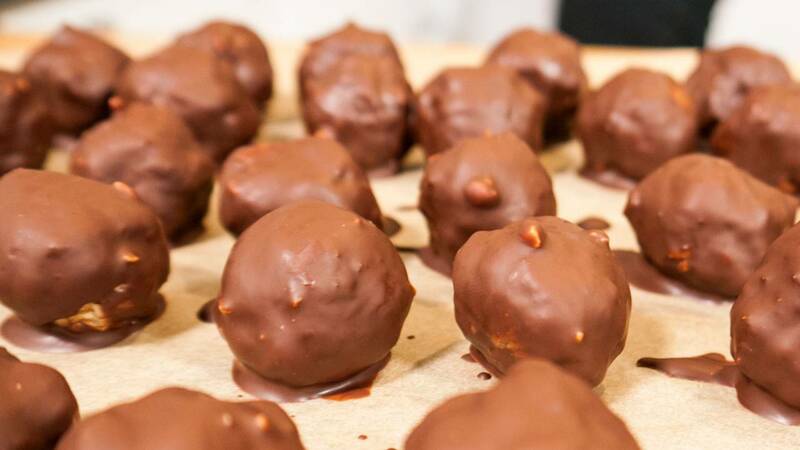 Shape all the balls first and then coat them with the chocolate. Otherwise everything will be covered in chocolate. They can easily last for many days in the fridge.